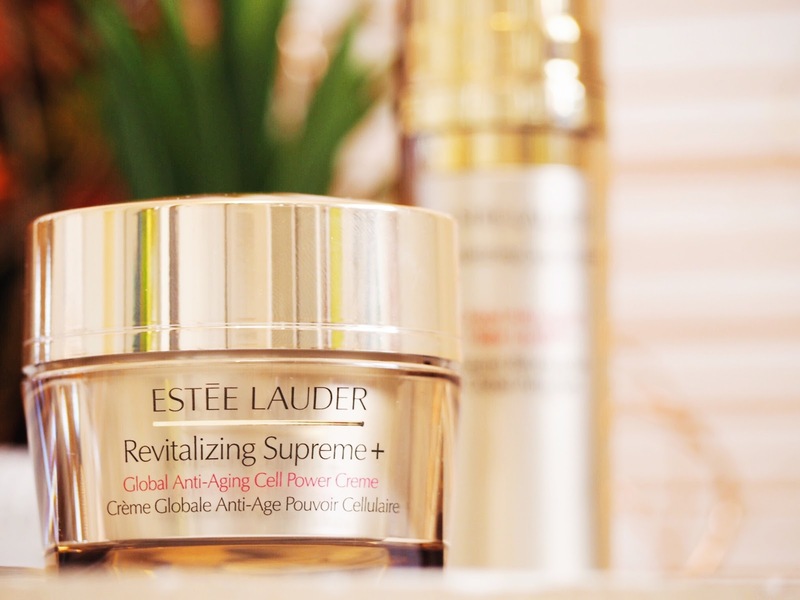 Skincare gets more essential with age. Don’t misunderstand me, it’s important all of the time, but it’s more important as you get older. Those two-nights-in-a-row partying start to take their toll, and not only do we take longer to bounce back from things, but so does our skin. As I’m edging closer to thirty, I’m noticing my skin shows signs of stress, illness and generally doesn’t take much to look a little worse-for-wear. Gone are the days of eating junk food, nights out and doing nothing for my skin but remove make-up with a wet-wipe. Nope, nowadays I actually need to invest in good skincare to keep my skin looking it’s best. 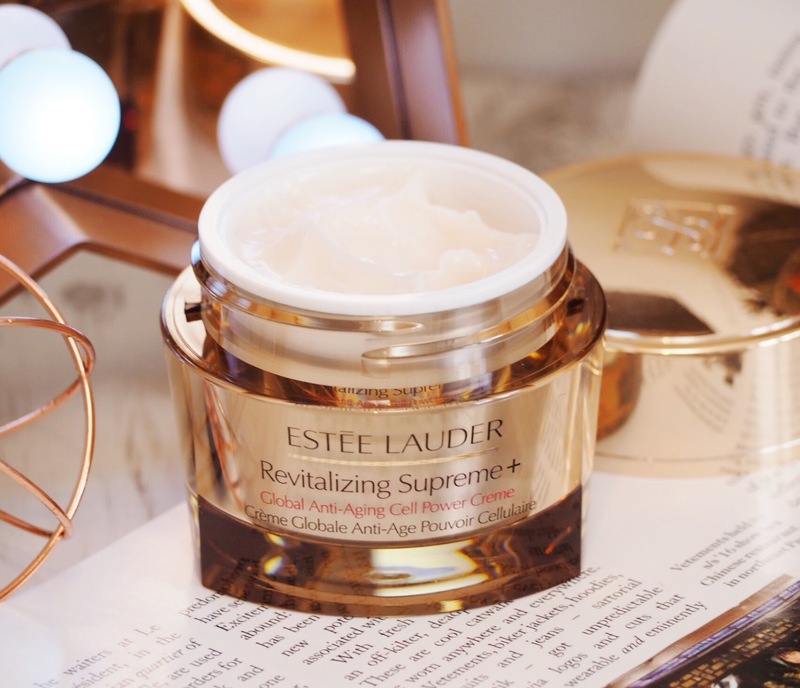 Created to support anti-ageing, the new Revitalizing Supreme + Collection from Estee Lauder has actually been a real joy for my skin. 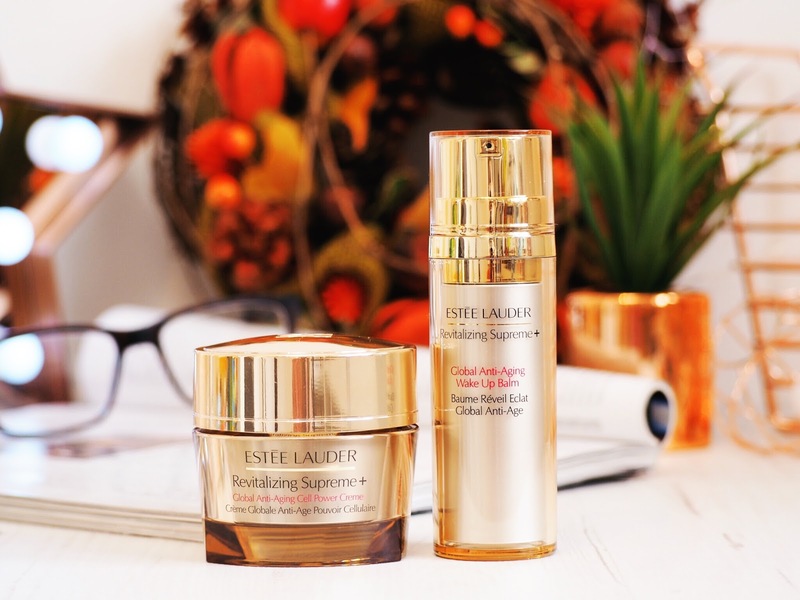 I’m not quite as far as needing anti ageing products yet, but I’m such an Estee Lauder fan that I’ll give anything of theirs a go: and it has so many other high performance qualities that I’ve still really enjoyed using it, and found it’s had a huge impact on my skin. With a unique skin-like extract that activates your natural ability to bounce back from signs of ageing, it also amplifies the affects of collagen – which let’s be honest, skin will always benefit from. It works to improve firmness, density and elasticity and should also reduce the appearance of lines and wrinkles. But for me the key use of this collection has been how quickly it helps my skin to bounce back from visibly showing signs of stress and tiredness. I might not have wrinkles yet (but I’m sure my son will encourage these soon! Ha!) but my skin is showing signs of looking less than at it’s best. So the Wake Up Balm has been like applying a smile to my skin. It can be used instead of a primer and/or moisturiser, or if you prefer, as an addition to your existing skincare regime. I initially tried it with my other skincare products, but having oily skin, this was a little too much for me, so I then used it as a moisturiser replacement, and I’ve seen a whole world or difference. I use it in the morning after washing and cleaning my skin, and it’s my final step before make-up application. I add a couple of pumps and massage into the skin, leave to dry and I’m good to go. Good morning awake skin. After using this for a month now, my skin feels softer and more bouncy and it’s looking healthier than before. I think this is because it’s made it look more radiant and bright as a result. 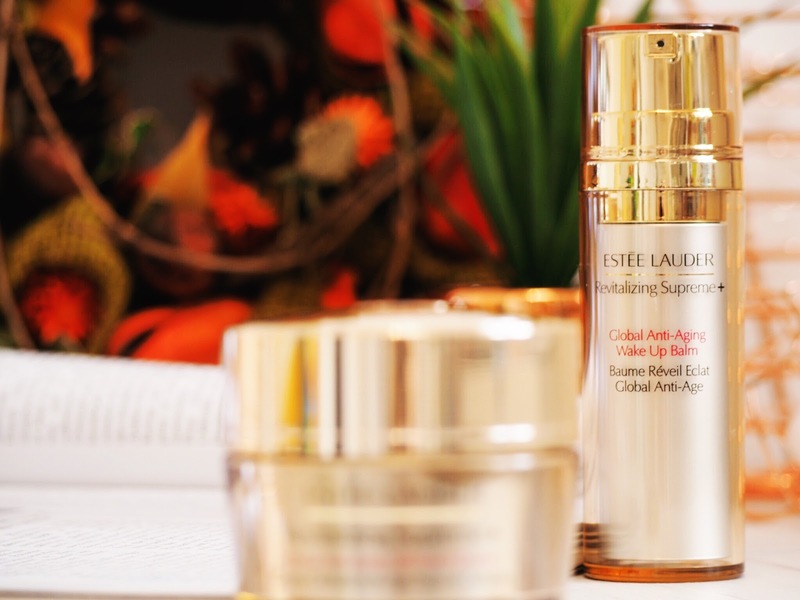 It works to add the moisture my skin needs to feel healthy, but without being too much or overloading the skin… Estee Lauder just have this way of delivering exactly what your skin needs. I’ve yet to try a skincare product of theirs that doesn’t work for me. The Wake Up Balm is a quick way to perk up the skin on a daily basis and it smells absolutely divine too. I highly recommend it for dry skin, sensitive skin and anyone who feels like they’re ready to combat signs of fatigued or ageing skin. This pot is pure magic. If you’re looking for a new face cream to combat a multitude of facial sins, then this is what you’ve been searching for. It’s a multi-action cream and it’s supposed to be the key to younger looking skin. With the unique and key Moringa Plant Extract, which is what makes the entire collection extra special, it improves elasticity, makes skin feel firmer and look plumper. Which for those with wrinkles and lines, means you’ve got something to help fill them out and look less deep or prominent. I use the Cell Power Creme at night as a night treatment, as the last step after my cleansing ritual. I’ve also used it some days in the morning along with the Wake Up Balm, if I feel like my skin is going to need some extra TLC that day. Again, I’ve replaced my normal moisturizer with this as it’s nourishing qualities are really high performing. Combining both of these products has meant my skin feels radiant and fresh. I don’t count my skin as showing signs of ageing but suddenly my skin feels less dry and taunt, and more bouncy and full of life. I feel like my skin is feeling fresh but also just generally better in every way. It’s like a new lease of life to my face. No more will a hard day at work mean my skin bears the brunt, in fact, it’s now looking and feeling revitalized whatever the day brings. 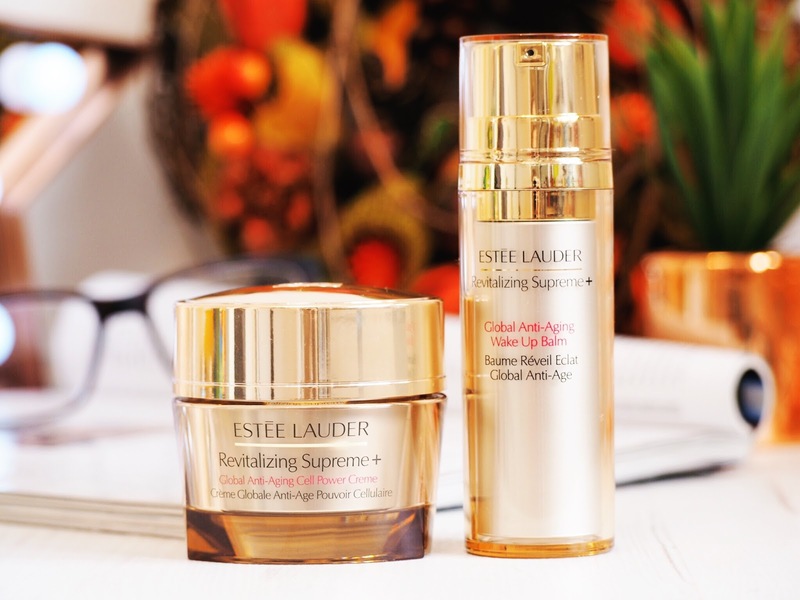 Get yours from the Estee Lauder website. Do these sound like something you’ll be adding to your skincare regime?